I know, I know – you’re frustrated because you are doing the RIGHT thing and being consistent about posting on your Facebook page – the problem is that your REACH is down – SIGNIFICANTLY! In this post, I’m going to share a little secret with you…a way that you can increase your fan reach – for FREE! And what’s better than FREE? Good Value. That’s why YOU are going to take this information you learn and SHARE it with your fans. They’re going to love it because they’ll never miss another update from your brilliant business again! Watch this quick video to learn how to TURN ON GET NOTIFICATIONS on pages you like so you don’t miss posts from that page. Post by Jen Smith Social. I hope that little Facebook tip was valuable to you – now go share this post with your fans so they can help you out by increasing your reach and even better – increase their own reach on their pages. 10 REASONS I’M THANKFUL FOR FACEBOOK TODAY ON THEIR 10TH BIRTHDAY! 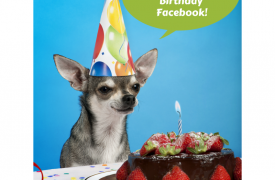 Holy Moley…I can’t believe FACEBOOK IS TURNING 10 YEARS OLD TODAY! I’ve been on the social network since 2006 and man, it’ been quite the journey. 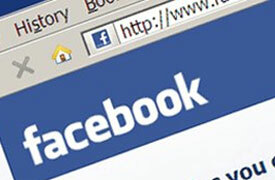 Do you remember your “first time” with Facebook? I do, like it was yesterday. I was sitting on my couch at home and logged on to my computer to set up my account with Facebook. I stayed up almost ALL NIGHT LONG reading people’s posts, connecting with old high school and college friends and looking at SO MANY PICTURES! It was freakin’ amazing. I was hooked instantly. Now, don’t get me wrong…over the years I’ve had a love/hate kind of relationship with Facebook. I hate it because I spend way too much time on it which takes away from the work I should be doing and it causes me to be distracted when I should be spending time with my family. 1. I have become more CONNECTED than ever before to all of the people that matter most in my life. 2. I can FOLLOW businesses that I like and learn about specials and promotions that they are having simply by being a fan of their page. 3. It has become my PHOTO hosting service and I no longer have to use Shutterfly or another service to post my pics for friends and family to see. 4. It has given me the opportunity to have an incredible CAREER teaching people what I have learned from using Facebook and how YOUR business can see huge returns by leveraging the massive social network. 5. Talk about VISUAL! I love the way you can use Facebook to have a visual experience with your friends and fans. The images, the video, it’s all part of an amazing online visual experience. 6. I love that I can easily schedule EVENTS for things that are going on in my job or my personal life. It’s like having Facebook and Evite all rolled up in one! 7. I can keep up with what’s TRENDING on Facebook and in the news with Facebook’s new Trending functionality. It helps me curate content and keep up with what’s going on in the world. 8. I can join super secret and private GROUPS to stay connected with friends that I’m taking a class with or with colleagues that I’ve joined a business program with. I love this feature because you can chat back and forth in a private setting. 9. I know you’re all going to think I’m crazy but I have to say that I do love FACEBOOK ADS! I’ve been in online advertising using Google AdWords for years and Facebook’s micro-targeting capability with their ad platform is unprecedented. It simply rocks and can work for your business if set up the right way! 10. I’ve got to come back full circle and end with the same reason that I started…and that is that I’m thankful for Facebook because of the CONNECTIVITY it’s given me to the world. I’ve met some amazing people on Facebook. I’ve hired a brand strategist in the UK, I’ve worked with a writer in Hawaii, and I’ve collaborated through groups with thousands of people just this past year through Facebook. It’s been an amazing journey and I can’t wait to see what Facebook has in store for us over the next 10 years. Want to see something AWESOME?! Facebook created this super cool video feature that allows you to see all of your biggest highlights on Facebook over the past 10 years – or however long you’ve been a Facebook user. Want to have a look at my video? Click this Post by Jen Smith Social. Want to create your own? It’s super easy and takes about 1 minute to do! Simply click here. Hope you’ve enjoyed a look back on why I’m so thankful for Facebook. Want to learn more tips and tricks about Facebook for your business? Come check out The Social Sip! I’d love to hear why YOU are thankful for Facebook…leave me a comment in the comments below and tell me. I’d love to hear from you!